What is ZW3D? ZW3D is a revolutionary low-cost all-in-one 3D CAD and CAD/CAM mechanical design software. ZW3D is more than just a cost-effective 3D CAD alternative to SolidWorks or Inventor. It uses proprietary 'in-house' hybrid 3D technology for creating complex mechanical shapes. 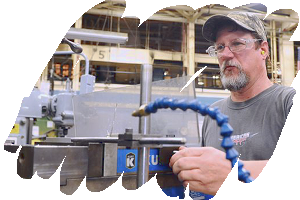 Whether your needs are mechanical assembly, industrial design, sheet metal, weldment construction, mould and die tooling, simple installation fixture design, fabrication, CNC or something special - ZW3D CAD is up to any task. 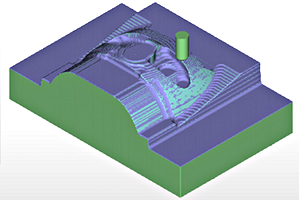 Efficient and economical 3D CAD and CAD/CAM. Ask us today about our limited-time promotional CAD bundles! 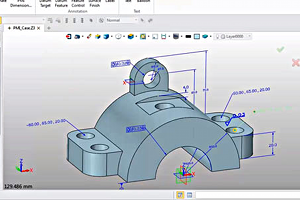 Our complete solution for 3D mechanical CAD Design. Full Featured 3D CAD and 2D drafting for most basic needs. Most affordable 3D CAD and CAD/CAM for Aussie Workshops. News Update. Improved Stability: ZW3D 2017 SP Released on 3CAD Australia ZW3D, one of the world's leading suppliers of advanced CAD/CAM solutions for the manufacturing industry, last week announced the availability...Read more.. Learn ZW3D New learning center resources for beginners and experts alike. Training videos, PDF manual downloads and other useful links for support.